First Holy Communion cake. 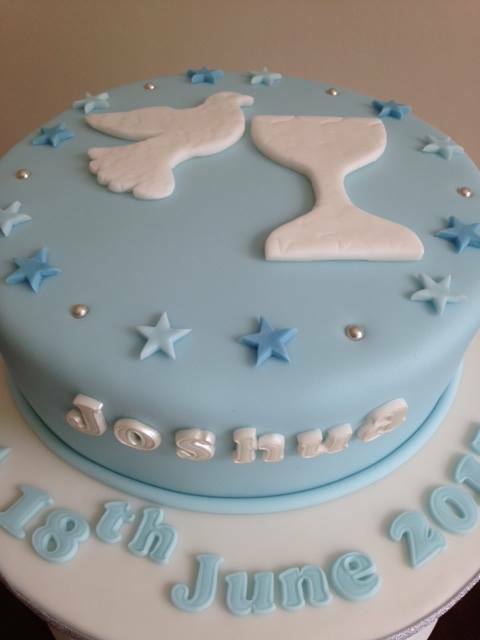 8″ chocolate sponge with chocolate buttercream decorated with embossed dove and chalice motif, stars and edible silver balls. Hope you enjoy your day tomorrow Joshua.